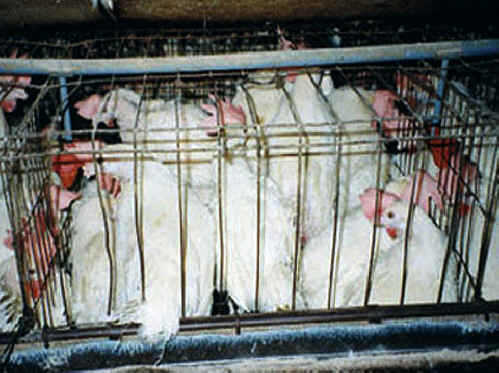 (Chicken Exploitation - Egg Production - 17) We believe that these cruel egg farmers have crammed 8 hens into this cage. Such crowding causes enormous psychological and physical strain upon these chickens. Every person who eats an egg contributes to this suffering.